Brendan joined the firm in 2000 and was admitted as a solicitor in 2003. Brendan has been involved in a wide and diverse range of general commercial transactions, particularly in the information technology, renewable energy and agri-business sectors. 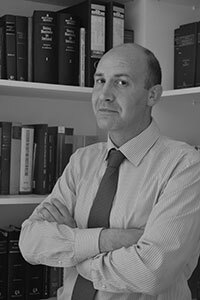 He also practices in the areas of general conveyancing and civil litigation in all courts. Brendan is also an experienced District Court practitioner and attends District Courts in the Limerick County and City areas and in the neighbouring counties of Cork, Tipperary and Clare. Brendan is on the Criminal Legal Aid Panel for Limerick and Cork. BA (Hons) Trinity College Dublin 1998. Admitted as a Solicitor in the Republic of Ireland .